NIU Naperville Conference Center provides the ideal setting for corporate and association meetings, featuring 29 sunlit meeting rooms, full service catering, A-V technology included in room rental, free wireless throughout, no added gratuities, and more. Note: Some map locations are approximate. Please call the venue at (630) 577-9101 for exact directions. NIU Naperville's comfortable, high-tech environment provide the ideal setting for corporate and association meetings, training sessions and events. Discover how our 23 sun-lit meeting rooms, complimentary A-V, on-site technical support, and complete meeting packages make planning and hosting your next meeting seems effortless. Experience the benefits of an IACC approved conference center. 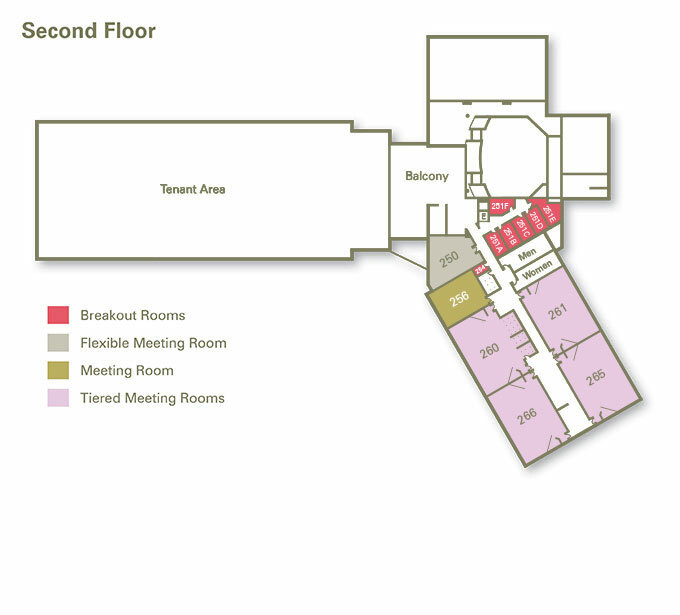 The Naperville Center has a large atrium, 3,750 square foot event space, 180 seat auditorium, classrooms, computer labs, video conference room and more. NIU Naperville Center is conveniently located right off I88 and partners with several hotels, some directly across the street. Hotels provide free shuttle service to Center. Walking distance from entertainment area. Largest Room 3,750 sq. ft.
Total Exhibit Space Sq. Ft. 3,750 sq. ft.